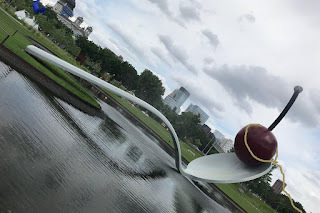 Cherry and Spoon: Minnesota Fringe Festival 2018: "Lakes 4"
Summary: In a play on the movie Oceans 8, half as many women from the land of 10,000 lakes plan a heist: to steal the cherry from the iconic Spoonbridge and Cherry statue. Highlights: This show wins the prize for most Minnesota references per minute. It's not the Fringe if you don't see at least one show that loving mocks Target, Perkins, traffic, and everything else we love (or hate) about our fair state. Emily Schmidt's clever and funny script delivers on that front, as well as creating a fun and fringey show. Suburban wife and mom Bridget (Samantha Baker Harris, who also directs) feels like she's lost that sense of adventure from her youth, and is bored sitting around the house with husband Dan (David Kappelhoff) all the time, so she decides to pull a heist just to prove that she can. She enlists her friend Grace (Jen Scott), their fitness coach Cheryl (Maureen Tubbs), and her friend Pam (Casey Haeg), an ace LuLaRoe saleswoman. They meet at Perkins to plan the heist, where waiter Jaden (ball of energy Aaron Vanek) overhears them and wants in. Of course the plans go awry, but the point is that Bridget rediscovers her inner spirit and sense of adventure. 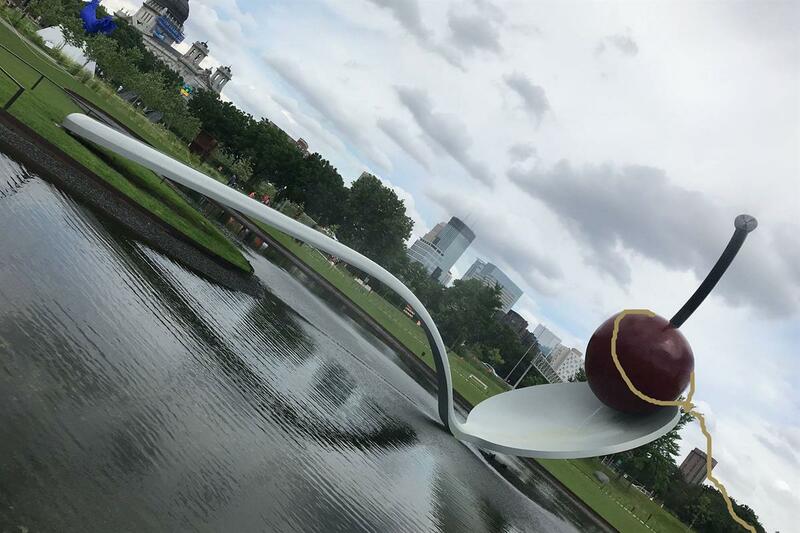 The cast is fantastic, the jokes are fast and funny, and the star of the show is the Cherry and Spoon. How could I not love it? !